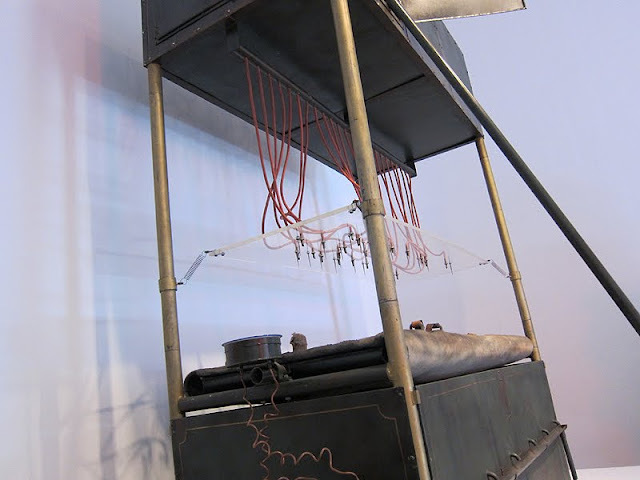 So here’s the Harrow IRL. 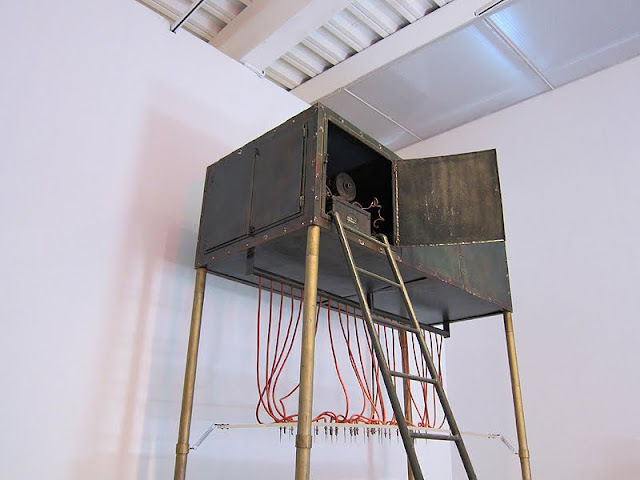 It was originally created for an exhibition at the Kunsthalle Bern in 1975. 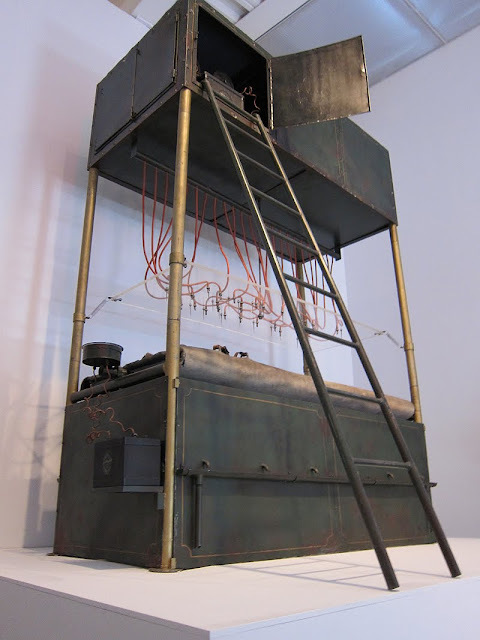 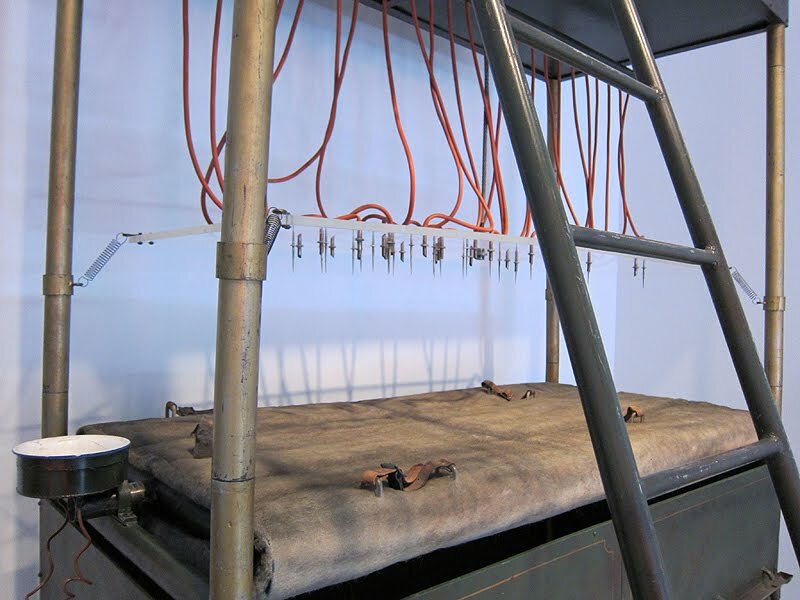 The exhibition riffed off Michel Carroughe’s essay “The Bachelor Machines,” which tied the torture device to some others by fancied in fiction and art by Edgar Allan Poe, Jules Verne and Marcel Duchamp.